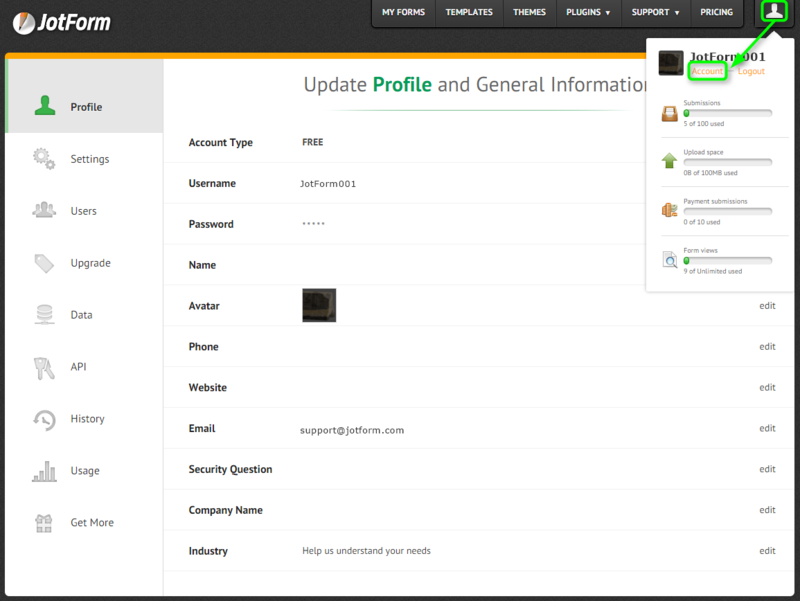 Your JotForm My Account page is a centralized hub for controlling and adjusting several different preferences such as Profile, Settings, Users, Upgrade, Data, Api, History, Usage, and Get More. You can get there quickly by visiting this link https://www.jotform.com/myaccount or just refer to the screenshot below. i want to upgrade my account but cant.